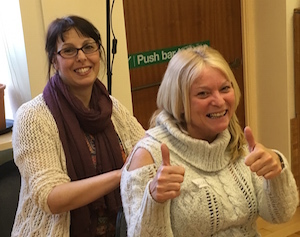 Staff at a day service in South Staffordshire say that adults with PMLD are benefitting from Story Massage activities. 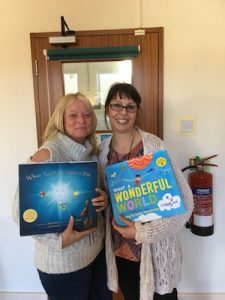 Louise Molineux and Nikki Millward, pictured below, have both received our Best Practice Award for their imaginative and inspiring work with adults with complex needs. Louise and Nikki have kindly agreed to share their massage story in the hope that you will enjoy using it with others. Story Massage is not just for children. And it is not just for adults with PMLD. 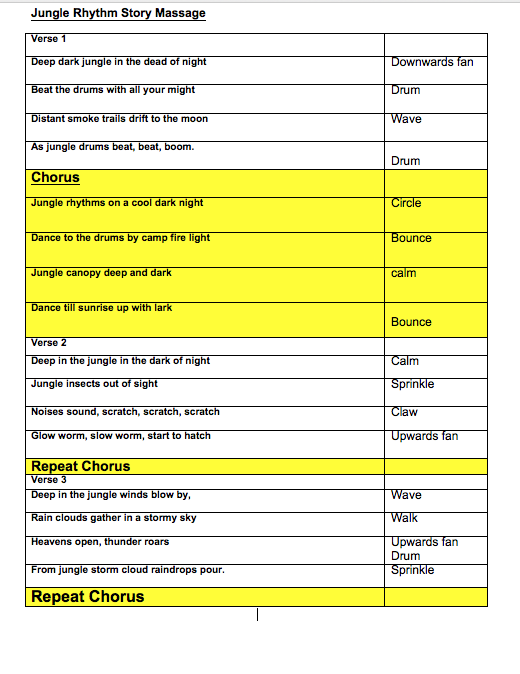 It a fun and flexible programme that can be adapted to suit all ages and abilities. 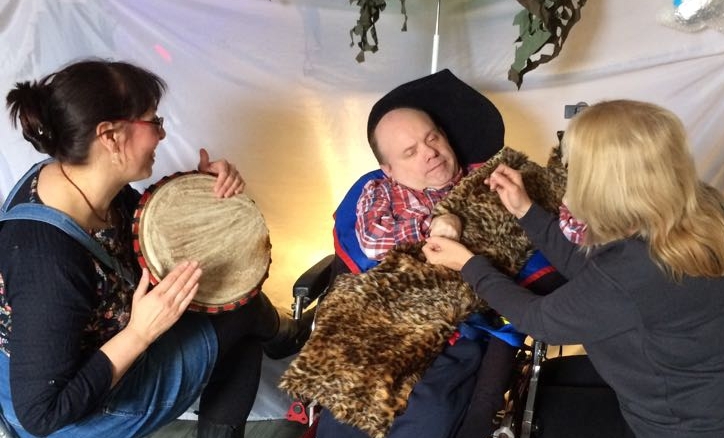 Are you inspired by the way that Louise and Nikki are doing with adults with PMLD? Would you like to train to use Story Massage in your work or home? 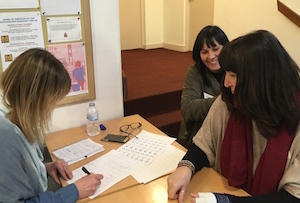 We run a one day accredited training course held around the country for individuals and groups. These days can also be organised as in-house training sessions. And we have a new online training option.